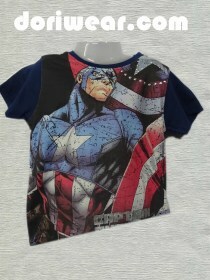 Marvel Avenger Assemble Captain America Boys Kids T Shirts.This marvel avenger t shirt with fabric paint printed with umages of Captain America. 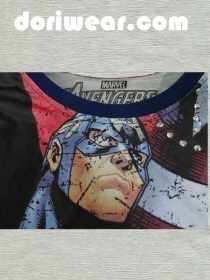 The T shirt also has the text Captain America printed on T shirts. Superheroes T shirt of kidswear.